Chinese 5 Color Pepper hold true to their name. 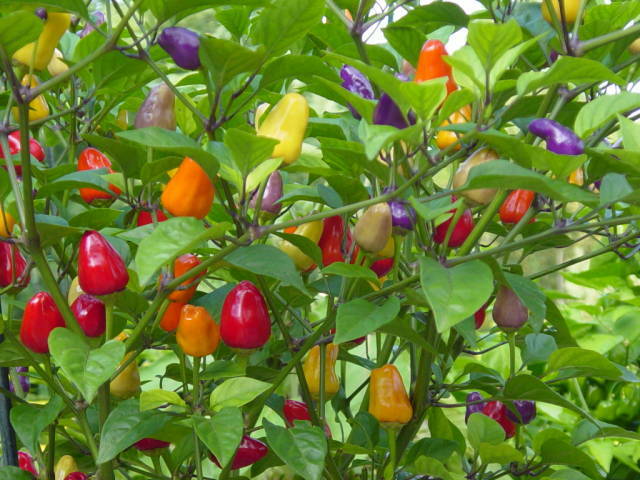 An edible ornamental, these Christmas bulb shaped peppers start out purple then lighten to a cream color, then yellow, orange and eventually a bright red. Compared to the Habanero (215,000 Scovilles) this pepper is a light weight coming in around 5,000 to 30,000 Scovilles. The fruit of Chinese 5 Color is fairly small, only 1 1/2 inches long. The plants are shrub-like with green leaves. Purple veins run through the leaves and the purple flowers are small and insignificant. Height: Grows 18″ to 20″ tall. 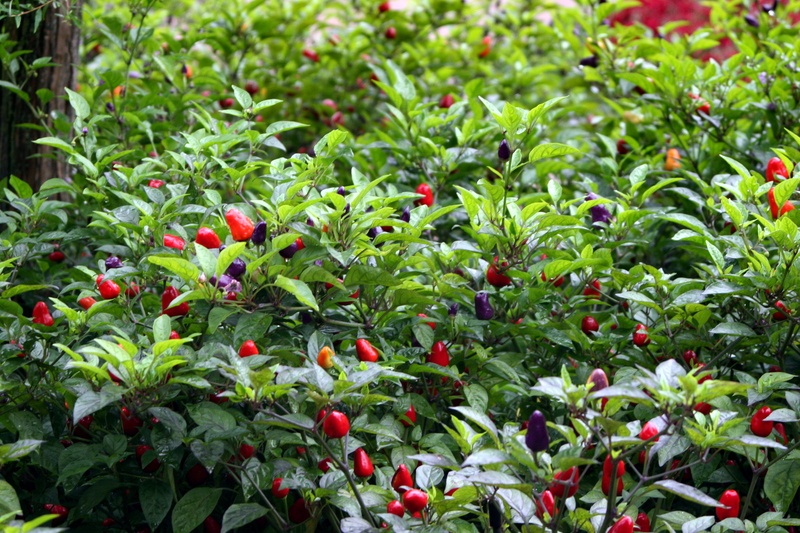 Outstanding Features: All colors are present on the plant at the same time creating a colorful display.